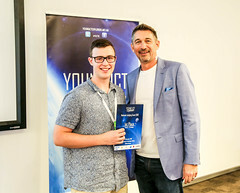 Young ICT Explorers is an exciting technology competition that inspires passion for Information and Communications Technology among Australia’s youth. Now more than ever, Australia needs to invest in the great minds that will make our future. 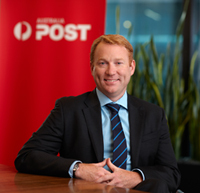 With your help as an ambassador we will make a major difference to Australia’s future. Become a Young ICT Explorers Ambassador today and help inspire Australia’s youth for ICT. Become a YICTE Judge: Experience the projects at one of our event locations and assess and provide feedback on our students’ amazing ICT projects. Participate in speaking engagements: Engage with youth audiences and inspire them for ICT as a speaker at one of our YICTE events. Share with media: Lend your perspective on the increasingly important topic of ICT and STEM education for publication in some of Australia’s most influential publications. Engage key audiences in social media: Join in fun and meaningful social media campaigns and help the message for more ICT skills in Australia go viral. Network with industry: Join SAP customers and partners at select hospitality and industry events. 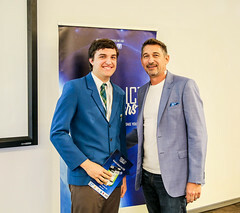 School visits: Visit Australian schools to talk to students about the YICTE competition as well as the rewarding opportunities that come from an education in ICT and other STEM subjects. 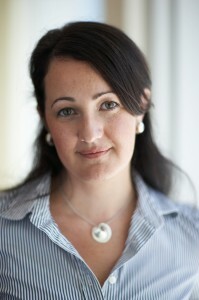 Kate Burleigh: Managing Director, Intel Australia. To indicate your interest please complete the google form below and one of our friendly team will be in touch to discuss further. Terms and Conditions I acknowledge that I have read the NICTA Privacy Statement (which is based on the region selection above) and consent to the processing of my personal data in accordance with the terms of the Privacy Statement. This includes, without limitation, that the Young ICT Explorers team may collect, store and process any personal data voluntarily provided by me on this website and aggregate it with other personal data that I provided to the Young ICT Explorers team on occasions by the methods and for the purposes described in the Privacy Statement and on this Website. In accordance with the terms of the Privacy Statement and on this Website. I acknowledge that I can at any time request information on my personal data held by Young ICT Explorers, update and correct such data and withdraw my consent given hereby by contacting the Young ICT Explorers team at: info@youngictexplorers.net.au. Based on my region selection above, my data will be controlled by the Young ICT Explorers team.